Max Scheler, when I last saw him, two weeks before his death, suddenly asked me: "Warum sind Sie mit so einem Ungestüm gegen Husserl losgegangen?" Husserl himself, when I visited him in Freiburg, introduced me to a group of visiting American professors of philosophy with the words: "No one has ever attacked me so sharply as he - and that's why we are such close friends." What astonishes one in Husserl's words is the clear expression of the "disinterestedness" which is so rare even in the great philosophers. His first interest was in the truth: and in the search for truth friendship with one's intellectual opponents is not only possible but essential. This is characteristic of Husserl in the highest degree. But we are concerned for the moment with a different question: What could have been the cause of my harsh attack? To make intelligible a position as difficult and at the same time remarkable as Husserl's phenomenology, it seems to me useful to state not only the doctrine itself but also the reasons why I have found it, and still find it, unacceptable. Objections illuminate not only the views of the critic, but also those of the thinker criticized. I first encountered Husserl's works thirty years ago, at a time when he had published only the Logische Untersuchungen. That book was and is enormously impressive. Among philosophers of the early twentieth century few indeed can rival Husserl in power, boldness, depth, and significance of thought. We did not meet until much later, after I had published two articles on Husserl in the Revue Philosophique. I had been invited to Amsterdam to read a paper before a philosophical society. When I got there I was told that Husserl was coming later to read a paper and that he had asked if I could await his arrival so that we might meet. Of course, I gladly postponed my departure for a few days. I was pleasantly surprised by Husserl's desire to meet an outspoken intellectual opponent: such generosity of spirit is extremely rare. Our first meeting took place at the philosophical society in the evening just before Husserl was to read his paper. At that time, of course, there was no philosophic discussion. Husserl was busy completing his own paper, which lasted for more than two hours and which, incidentally, he read standing, with extraordinary ease, and with the artistry and vigor of a man of forty rather than seventy. Husserl asked the member of the philosophic society in whose home he and his wife were staying (it is the custom in Amsterdam for philosophers who are invited to read papers to stay with members of the philosophic society rather than in hotels) to invite me for dinner the following day. At dinner, of course, there was no talk of philosophy. But immediately after dinner, as soon as we had gone from the dining room into the study, Husserl began to raise philosophic issues, plunging directly in medias res. This was characteristic of him. I remember that when, a few days later, both of us had dinner with another member of the society, and after dinner our host, a very wealthy man and a passionate bibliophile, began showing Husserl some of his rare books - first editions of the Critique of Pure Reason and Spinoza's Ethics - Husserl, to the great chagrin of our host, cast only a perfunctory glance at these rare volumes, and in a few moments took me aside and began to talk philosophy. "You have turned me into a stone statue, raised me onto a lofty pedestal, and then with hammer blows you have shattered this statue to bits. But am I really so lapidary? You don't seem to have noticed what compelled me to formulate in such a radical way the question of the nature of knowledge, modifying the dominant theories of knowledge which previously had satisfied me as much as any other philosopher. The more deeply I probed into the basic problems of logic, the more I felt that our science, our knowledge, is shaking, tottering. And finally, to my own indescribable horror, I convinced myself that if contemporary philosophy has said the last word about the nature of knowledge, then we have no knowledge. Once, when I was giving a lecture at the university, expounding ideas which I had taken over from our contemporaries, I suddenly felt that I had nothing to say, that I was standing before my students with empty hands and an empty soul. And then I resolved both for myself and for my students to submit the existing theories of knowledge to that severe and unrelenting criticism which has aroused the indignation of so many people. On the other hand, I began to seek the truth precisely where no one had sought it before, since no one had admitted that it might be found there. Such was the origin of my Logical Investigations. But you did not want to see in my struggle, in my impetuous "either-or," an expression of what it in fact was - namely, the consciousness that, if the doubts which had arisen in me could not be overcome by the efforts of reason, if we are doomed merely to go on smoothing over - more or less thoroughly - the fissures and crevasses which have opened up in all of our epistemological constructions, then one fine day all of our knowledge will crumble and we will find ourselves standing amid the miserable ruins of former greatness." It was in roughly these words, but with greater force and passion, with that extraordinary élan which one felt in all of his remarkable writings and addresses, that Husserl spoke to me of the sources of his bold and original philosophy, a philosophy which relentlessly swept away the fundamental ideas of the best contemporary thinkers. The Logische Untersuchungen and his other works were a "slaughter," not of the "innocent," of course, (the innocent do not philosophize), but of the old men. At the same time they were a grandiose and magnificent attempt to find a support for our knowledge, a support which even the "gates of Hell" could not vanquish. Husserl spoke with sincerity, enthusiasm, and inspiration; I think even non-philosophers would immediately sense that the questions he raised were not theoretical ones - any proffered solution to which, being equally indifferent, would be equally acceptable - but questions, as he himself put it, of life and death. Husserl, like Shakespeare's Hamlet, raised the terrible and fateful question, "to be or not to be." He saw with Hamlet (or with Shakespeare) that the time was out of joint. His words had a truly shattering impact. My first personal meetings with him, like my reading of his first words twenty years earlier, was truly memorable. One does not forget such human greatness. I replied candidly - "You are right, of course. I have attacked your ideas with all the energy I could command. But this was only because I felt the enormous and incomparable power of your thought, and sensed what you have now told me about the motivations of your bold and original ideas. I have no doubt that in France - where you were almost entirely unknown before my articles appeared - people now realize that a neighboring country has produced a major philosopher who has opened up horizons hitherto obscured by the thick haze of traditional commonplaces. The sharpness of my attack emphasizes, rather than deprecates, the enormous significance of what you have done for philosophy. To struggle with you one must marshal all of his spiritual energies; every intense effort presupposes passion and the sharpness of passion. I was faced by a fearful dilemma: either to accept your whole position and its as-yet-unformulated philosophical implications - or to rebel against you. And if in the next world I am accused of betraying philosophy because of my struggle against self-evidence . I shall point to you, and you will burn in my place. You have pursued and persecuted me so persistently and inexorably with your intuitive self-evidence, that I could find no other way out. Either I had to submit to you in everything, or else steel myself for the desperate step of revolt, not only against you but against everything that has always been considered the unquestioned foundation of philosophy and of thought. I had to revolt against self-evident truth. You were profoundly right when you said that the time was out of joint. Every attempt to examine the least fissure in the foundation of human knowledge throws the time out of joint. But must knowledge be preserved at whatever cost? Must the time be put back in joint? Or rather, should we not give it a further push - and shatter it to bits?" This conversation - here given in brief and approximate outline - brought to a focus what united, and also what divided, us. Strange as it may seem to some people, my first teacher of philosophy was Shakespeare, with his enigmatic, incomprehensible, threatening, and melancholy words: "the time is out of joint." What can one do, how can one act, when the time is out of joint, when being reveals its horrors?" From Shakespeare I turned eagerly to Kant, who, with the incomparable artistry of his Critique of Practical Reason, by means of his famous postulates, attempted to gloss over, and for centuries succeeded in glossing over, the ontological fissures laid bare by his own critique of pure reason. But Kant had no answer for my questions. I next turned to a different source - the Scriptures. But surely the Scriptures cannot bear comparison with self-evidence? At that time I had not yet come to the point of asking this question. Even those who acknowledge papal infallibility have not come to the point of raising it. Men content themselves with the postulates of practical reason, using them to soften, - or rather to forget, or fail to see - the all-destroying power of the truths of theoretical reason. Almost all of my conversations with Husserl revolved about these themes. When he visited me at my home in Paris, immediately after dinner (which he seemed not even to have noticed), he took me into another room and immediately plunged into philosophical discussion. At that time I was working on the first part of my book Athens and Jerusalem, - the section called "Parmenides in Chains". Naturally, I tried to direct our discussion toward the topics which I was then treating. I said to Husserl, using almost the same words that I later used in "Parmenides in Chains": In 399 B.C. Socrates was poisoned. Socrates left behind his disciple Plato, who, "forced by the truth itself' (in Aristotle's expression), did not, could not refrain from thinking and saying that Socrates had been poisoned. All of his writings elaborate a single central question: Is there any power in the world which can reconcile us to the fact that Socrates was poisoned? For Aristotle such a question would have been nonsensical. He was convinced that the "truth," "a dog was poisoned," like the "truth," "Socrates was poisoned," is permanently immune from human or divine objection. The hemlock makes no distinction between Socrates and dogs. Similarly, forced by the truth itself, we are obliged to make no distinction between Socrates and dogs, even mad dogs. I expected Husserl to greet these remarks with a burst of indignation. But something else happened: He listened intently as though, in the depths of his being, he had already long since recognized that the Aristotelian "forced by truth itself' contained a kind of falsehood or betrayal. I was the more astonished in that we had previously disputed warmly as to what philosophy is. I had said that philosophy is a great and ultimate struggle; he had answered sharply, Nein, Philosophie ist Besinnung. But now our conversation took a different turn. It was as though he felt the Aristotelian certitude to be built upon sand. In any case, Husserl arranged to have my "Parmenides in Chains" published as an article in the journal Logos, for which it was wholly unsuited both because of its length, and more importantly, because it challenged the conviction that men can never free themselves from such truths as "Socrates was poisoned." Husserl's mind, I repeat, was open to everything. Soon after my article had appeared he wrote me: "Your ways are not my ways, but I understand and value your problems." I then understood the strange fact that during my visit to Freiburg, learning that I had never read Kierkegaard, Husserl began not to ask but to demand - with enigmatic insistence - that I acquaint myself with the works of the Danish thinker. How was it that a man whose whole life had been a celebration of reason should have led me to Kierkegaard's hymn to the absurd? Husserl, to be sure, seems to have become acquainted with Kierkegaard only during the last years of his life. There is no evidence in his works of familiarity with any of the writings of the author of Either-Or. But it seems clear that Kierkegaard's ideas deeply impressed him. Husserl's forceful statement is reminiscent of the well-known saying, Roma locuta, causa finita. Husserl, of course, does not limit himself to such solemn pronouncements. The threat of the madhouse which is implicit in the words just quoted goes far beyond the limits of a simple pronoun Cement. The senselessness which is exhibited by the assertions of relativism - whether individual or "specific" - cannot fail to arouse the anxiety of the conscientious investigator. In the second volume of his Logische Untersuchungen Husserl formulates the same idea in a calmer but no less powerful way: "We shall never admit that anything which is logically or geometrically absurd can be psychologically possible." We admit, he explains, that "logical concepts have a psychological origin, but we reject the conclusion which is drawn from this fact." What conclusion? And why do we reject it? - "For our discipline the psychological question of the origin of given abstract ideas is of no interest." The original and unconventional character of Husserl's philosophic construction is here clearly evident. He fearlessly defends the validity of generic (or ideal) objects, as well as individual (or real) objects. Husserl distinguishes between truth and an individual's act of judging truly. I assert the judgment that 2 x 2 = 4. This judgment is, of course, a purely psychological act and as such may be studied by the psychologist. But, no matter how much the psychologist may discover about the laws of actual thinking, he can never deduce from these laws a principle which will distinguish truth from falsehood. On the contrary, all of his reasoning presupposes that he is in possession of a criterion for distinguishing truth from falsehood. The philosopher is not in the least concerned with John's or Peter's judgment that 2 x 2 = 4. There are thousands of individual judgments about a given object, but there is only one truth. If a natural scientist draws conclusions from the laws of gravity, the lever, etc. concerning the functioning of a machine he, of course, experiences certain subjective acts. But corresponding to the subjective relations of thought there is an objective unity of meaning (i.e., one adequate to the evidently given objective reality), which is what it is, irrespective of whether anyone does or does not actualize it in thought. If all gravitating bodies should disappear, the law of gravity would not be destroyed; it would simply remain without any possibility of actual application. For it says nothing about the existence of gravitating masses, but only of what is inherent in gravitating masses as such. Self-evidence is not some index of consciousness which, appended to consciousness, speaks to us like a mystical voice from a better world, saying "here is the truth" - as though we, free-thinking men and women, would be ready to obey such a voice without requiring of it any proof of the validity of its assertions. No contemporary philosopher has ventured to speak with such audacity and power of the autonomy and independence of truth. Husserl will not accept the compromises which lead a majority of thinkers astray. Either self-evidence is the ultimate court of appeal, at the bar of which the human spirit receives its full and definitive satisfaction, or else our knowledge is illusory and false, and sooner or later a realm of chaos and madness will appear on earth, and those who are not too lazy to stretch out their hands will begin to usurp the sovereign rights of reason, its scepter and crown. "Truth" will turn out to be very different from those firm and immutable laws which the exact sciences have hitherto sought and found. Seneca aptly formulated the basic proposition which inspired ancient philosophy: Ipse creator et conditor mundi semel jussit, semper paret [The creator and founder of the world obeys forever; he decreed but once" (De Providentia, 5:8)]. The idea that anyone at any time established a command or decree is incompatible with the Greek conception of truth. They did not say this outright, but they were convinced that the idea of jubere [to command or decree] is indissolubly connected with the idea of arbitrariness, and that arbitrariness leads directly to those realms of Schwärmerei und Allerglauben of which Kant warned us. In essence, both Seneca and his teachers were deeply convinced that no one, not even the creator and founder of the world, had ever laid down a decree. The creator, as well as all rational and non-rational creatures, have always obeyed. And self-evidence, which is not a mystical voice from another world (such a voice would not impress free-thinking men and women), bears witness to this. Self-evidence reveals the eternal structure of being, laid bare by the phenomenological reduction. Husserl refers to Leibniz's distinction between vérités de raison and vérités de fait. For Leibniz the truths of reason enter God's consciousness without his consent. Kant, in his Critique of Pure Reason, which was intended to overthrow the dogmatism of Leibniz and Wolff, unhesitatingly declared that experience - which tells us only what exists, but does not tell us that what exists is necessarily what it is rather than something else - not only fails to satisfy but even irritates our reason. Reason thirsts for "compelling truth;" the free jubere must be driven out of philosophy once and for all, since philosophy is and wishes to be only a realm of eternal obedience (parere). Leibniz - and here he also anticipates Kant - sees in parere man's desired end. Eternal truths, in his view, not only compel, they also convince us. But neither Leibniz nor Kant was ready to place in the icon-corner the icon of the eternal truths to which they prayed. Husserl was the first to speak of self-evidence in a manner befitting the extraordinary philosophical significance of this idea. "What is true is absolutely true, is true in itself. Truth is identically one, whether it be apprehended in the judgments of men or of monsters, of angels or of gods." "Pamyati velikogo filosofa (Edmund Husserl)," Russkiye zapiski, no. 12 (1938), pp. 126-45; no. 1 (1939), pp. 107-16. This article was completed only a few weeks before Shestov's death. Shestov gives no explicit references for the many passages from Husserl's works that he cites. Where identification has been possible, the page references are given in footnotes. Except where specifically identified as Shestov's, all footnotes are the translator's. That is, in 1908, when Shestov was still in Saint Petersburg. A Russian translation of volume 1 of Logische Untersuchungen was published in Saint Petersburg in 1909; "Philosophie als strenge Wissenschaft" appeared in the Russian edition of Logos in 1911-12. 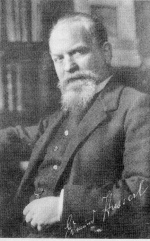 Substantial Russian studies of Husserl's thought were produced by B. Jakovenko (1912) and G. Shpet (1914). The two articles in question are: "Memento mori," Revue Philosophique 101-102 (1926), pp. 5-62; and "Qu'est-ce que la vérité?" ibid. 103-104 (1927), pp. 36-74. Shestov's term is "ochevidnost," a close rendering of Husserl's "Evidenz." Alternative English translations might be "obviousness," "certainty," or even "intuition." Husserl himself characterizes Evidenz as "adequate perception of truth," "knowledge," "incontestable certainty," and "adaequatio rei et intellectus" (cf. Logische Untersuchungen, 2:118, 122, 225). He also speaks of an "act of Evidenz." Interestingly enough, he once said to me, "Das, was Sie treiben, heisse ich auch Wissenschaft" [Shestov's note].